Staging a hallway is a surprisingly simple proposition, but many property sellers still get it wrong by trying to do too much with their design aspirations. After all, hallways are transitional areas that are known to be narrow and functional, rather than aesthetic focal points. While it is vital that every area of the home be adequately represented in the staging plan, it is certainly possible to go too far with the design improvements and halls are a common area for these enthusiastic blunders to occur. This tutorial provides easy guidance for DIY and professional home stagers who want to make the most of their interior hallways, without creating clutter, unsafe foot traffic conditions or a disjointed look in the halls of the home. 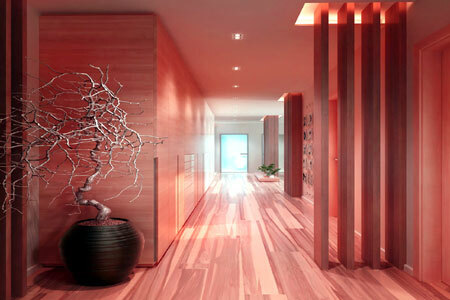 We will provide considerations that should be included and avoided when staging any hallway in the home. Halls should always be well lit, both to provide safe traversing for people who come to view the home, as well as to impart a welcoming and warm environment. However, lights should be ceiling or wall mounted, since most narrow halls do not allow room for floor fixtures to reside comfortably. Extra lighting should always be placed when halls end in any level change, such as a step or stairs. Halls must always have even and safe flooring to allow potential buyers to walk effortlessly between rooms. Placement of area rugs or other impediments must be carefully considered, since a smooth and undisturbed floor surface is preferred in high traffic areas. Halls should not be cluttered with furniture or floor standing accessories. Instead, artistic accompaniments should find homes on walls, so as to not disturb traffic flow or become trip-and-fall hazards. Do not place the most interesting accessories in hallways, since the idea is to move prospective buyers through these less desirable areas and into the more valuable room spaces. Having buyers pause in a hallway to examine any detail is usually not a wanted occurrence. As mentioned above, keep halls clear of any furniture, art, accessories or lighting that will block narrow pathways or make potential buyers uncomfortable when walking around the home. Be mindful that even wall mounted fixtures can become obstacles and might allow passers-by to hit their heads, if not positioned correctly. Use caution with allowing wires or power cords to travel in hallways. These are obvious tripping hazards and can do far worse than ruin an otherwise perfect home viewing. If someone falls, expect to hear from their lawyer, and I do not mean their real estate attorney! 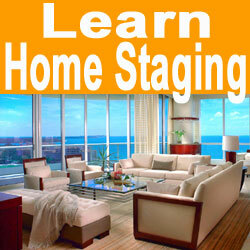 Most of all, do not overdo it in halls, when it comes to the overall staging design. Keep these areas simple and sparse, with just enough touches to blend the spaces into the interior that surrounds them. Definitely do not place attention-grabbing focal objects in hallways. Remember that the goal here is to keep traffic flow moving, not bottleneck it is a tight space for all to examine some object-d’art. Following the advice provided in this super simple essay will help to improve the overall aesthetics and saleability of any piece of real estate. Remember, halls are for moving from place to place and are not destinations unto themselves. Keep this idea in mind when designing the look and feel of your halls and you are bound to succeed. If you require specific advice or recommendations about staging a hallway in your house or apartment, please accept my invitation to contact me at any time for my thoughts. 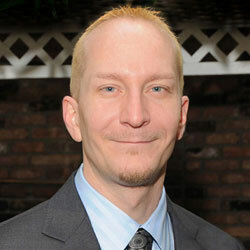 I am happy to help you to succeed in your property marketing endeavors.